My style of training is fun positive re-enforcement with hands on praise and treats. Most trainers use a clicker, the clicker is used as a marker to the dog that he has done well then he is treated. With my training, We/You are the marker, with hands on praise and excitement, then we treat. 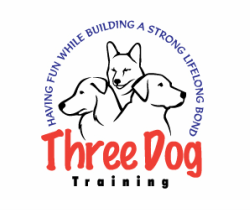 I encourage all of my clients to train this way because I have found with this style of training we are building a very strong lifelong bond between dog and owner and it is lots of fun for them and their dog.